Out Here, It's Survival of the Fittest. 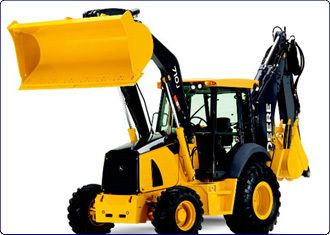 Deere backhoes, loaders, and dozers are there to provide you with the equipment you need to get the job done. When equipment is down it means more than just a repair cost. Look to repower worn engines with a new Deere. Improved performance, reliability and convenience. Factory built and tested engines. Give us a call to request a quote.